There's a new person calling the shots for the DC movie universe. Warner Bros. announced that Walter Hamada, executive vice president of production at New Line Cinema, is the new president of DC Films, according to Deadline. The news comes a few weeks after the studio revealed plans to overhaul the behind-the-scenes team in the wake of the underwhelming reception to Justice League. Geoff Johns will reportedly have less pull with DC Films while co-president of production Jon Berg has moved out of his role to become a producing partner to Roy Lee. Although Wonder Woman was a massive hit for the DC brand and became the third-biggest movie of 2017, the ensemble Justice League has been a disappointment for Warner Bros. Basically DC's version of Marvel's Avengers, the movie hasn't even broken even yet with just about $700 million at the box office. That comes after both Batman v Superman: Dawn of Justice and Suicide Squad failed to live up to expectations. Meanwhile, Hamada was one of the key executives in charge of It and the Conjuring franchise. Deadline reports he's known for having a "great eye for material and quality controlling production." He was also behind 2009's Friday the 13th and 2010's Nightmare on Elm Street along with Final Destination 5 and The Final Destination. "Walter is creative, resourceful, and committed to excellence, and will bring those qualities to his oversight of our superhero films," said Warner Bros. Group president Toby Emmerich. "He's a terrific production executive and served as an executive producer on two of the summer's most popular films, New Line's It and Annabelle: Creation. I'm confident Walter and Geoff, working with our filmmaking partners, will deliver films that will resonate with both broad global audiences as well as DC fanboys and fangirls." Things at DC Films have been a little murky since the release of Justice League in November. 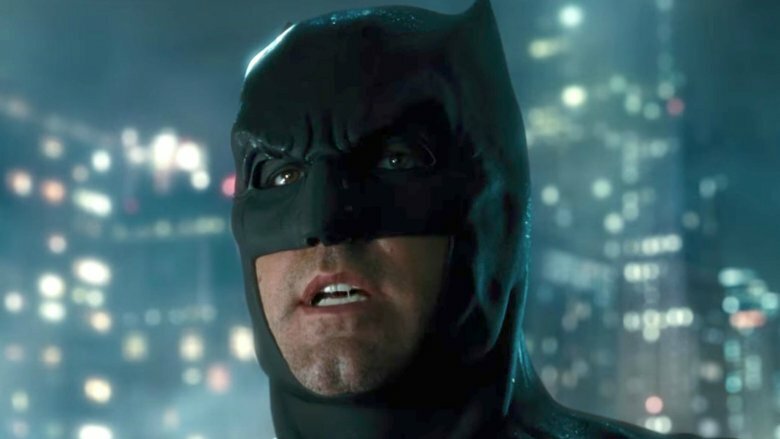 There are reports the Flashpoint movie might not happen and nobody seems to know if Ben Affleck is coming back to play Batman in the standalone flick from director Matt Reeves (War for the Planet of the Apes). There's also a handful of other projects in the pipeline, including Aquaman, Suicide Squad 2, Gotham City Sirens, a Joker and Harley Quinn movie from the team behind Crazy, Stupid, Love, Shazam! starring Zachary Levi, and a standalone Joker origin movie from The Hangover director Todd Phillips. Patty Jenkins is also back to helm Wonder Woman 2.